Don’t miss these Food and Wine Events Orlando Oct. 15 – Nov. 8! 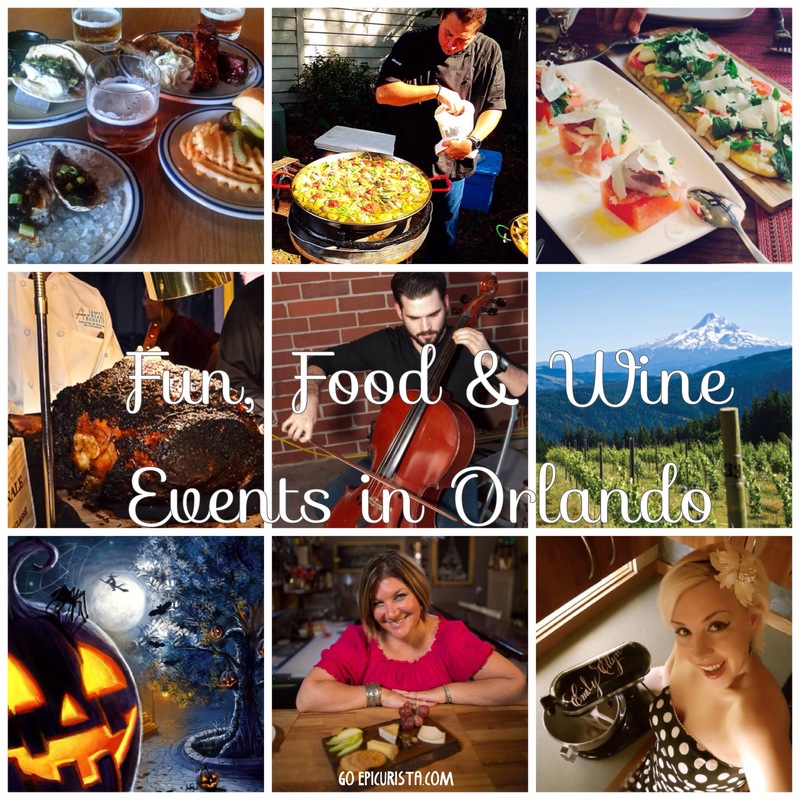 This fall, there is no shortage of fun, food and wine events Orlando! Get your friends together and GO celebrate life at these Top 9 GO EVENTS! 1. GO Brews N’ BBQ Tasting! 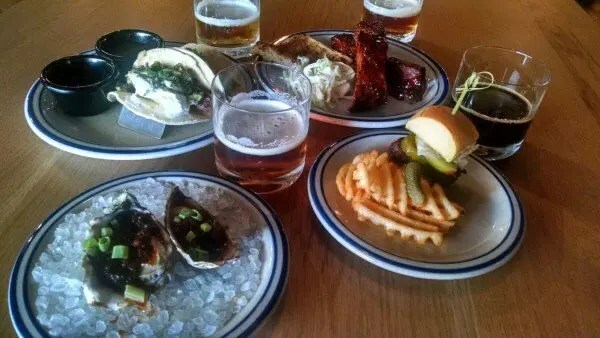 American Q, Orlando’s newest BBQ hotspot, is serving up an Oktoberfest Brews N’ BBQ Tasting Menu throughout the month of October that is sure to please. For $30, satisfy your taste buds with four small plates paired with craft beers including Grilled Virginia Oysters with Bacon Jam, paired with Widmer Brothers Alchemy Pale Ale, Carne Asada Fajita with Pacifico Pilsner, Short Rib Sliders Paired with Founder’s Brewing Co. Porter and St. Louis Spare Ribs paired with Alltech Kentucky Bourbon Barrel Ale. Located inside the chic B Resort & Spa at 1905 Hotel Plaza Blvd, Orlando. I had the chance to try it this past week and can’t wait to go back! They also offer fantastic craft cocktails and an endless all you can eat selection of BBQ meats carved tableside, if you have a bigger appetite! GO Brews N’ BBQ! 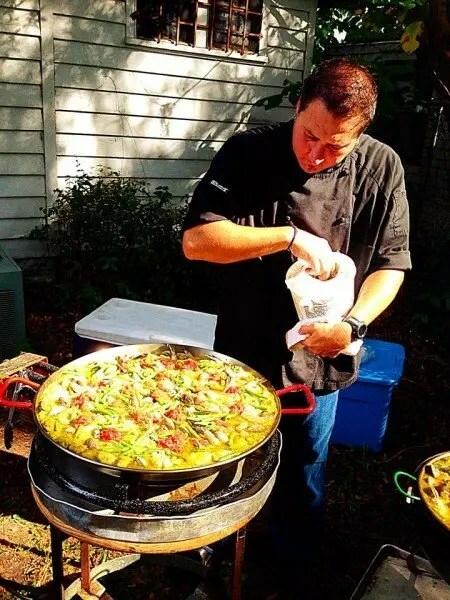 If you love paella, Saturday October 18th, Txokos Basque Kitchen’s award-winning chef Henry Salgado hosts the first monthly Paella Party 2pm-4pm, with live music in the courtyard! $22 per person includes a glass of housemade sangria or draft beer. Located at East End Market, 3201 Corrine Dr. Orlando, FL 32803. Make your reservation at 321-972-8852 and GO Paella Crazy! 3. GO Taste & Learn with the best! Hamilton’s Kitchen in Winter Park’s boutique hotel, The Alfond Inn, is featuring a new tapas-style, four-course Tasting Menu of award-winning Chef March Kusche’s most popular creations, which incorporate locally sourced ingredients. The Alfond Inn is located at 300 E. New England Ave, Winter Park. For reservations, call 407-998-8089. 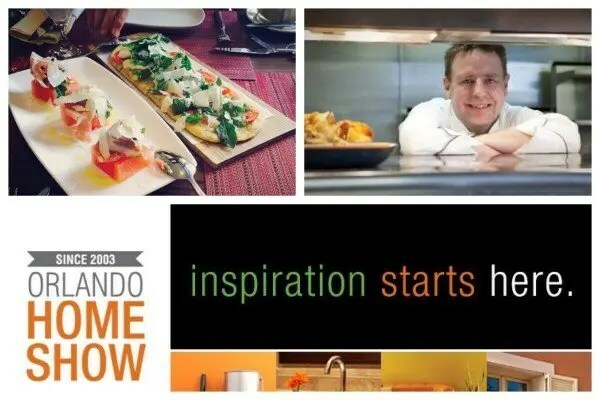 You can also catch Chef Kusche and several area chefs including Hari Pulapaka of Cress, Camilo Velasco of Barnie’s Coffeekitchen, Mark Jeffers of Highball and Harvest and others at this year’s Orlando Home Show, October 24-26th at the Orange County Convention Center. GO Taste & Learn with the Best! 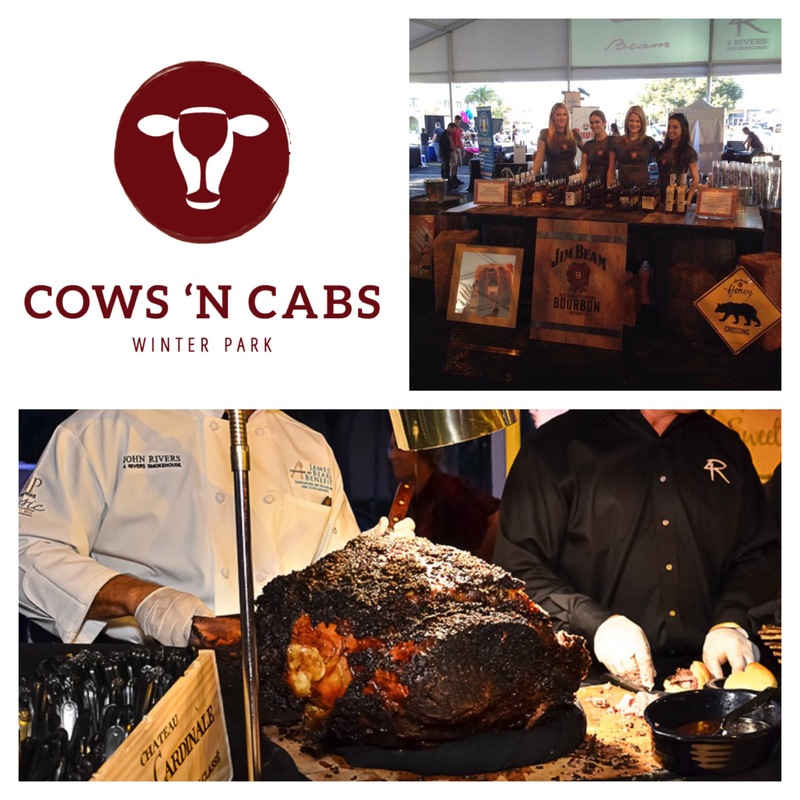 On Saturday October 25th, 7pm-10pm, Cows ‘N Cabs 4th annual culinary extravaganza is the place to be for any foodie in Central Florida. Get dressed up in your favorite cowboy gear for this outdoor, western-themed event. Enjoy over 200 wines, spirits and craft beers samplings curated by ABC Fine Wine & Spirits’ David Larue and a selection of gourmet tastes from 20 of the area’s best local restaurants including John River’s 4 Rivers Smokehouse & The Coop, Henry Salgado’s Txokos Basque Kitchen, Todd English’s bluezoo, Kevin Fonzo’s K Restaurant, Norman Van Aken’s Norman’s, and Greg Richie’s Soco. Indulge in sweets from local faves Peterbrooke Chocolatier of Winter Park, Se7en Bites, P is for Pie, 4R Sweet Shop. Lots of food and drinks, fun games, live band and silent auction all for a good cause! All proceeds benefit local charities: Community Food & Outreach Center and Elevate Orlando. Tickets $110 / VIP $140 per person. Located at Winter Park’s West Meadow at 150 North New York Avenue. GO Cowboy Gourmet! Is blackjack your game? 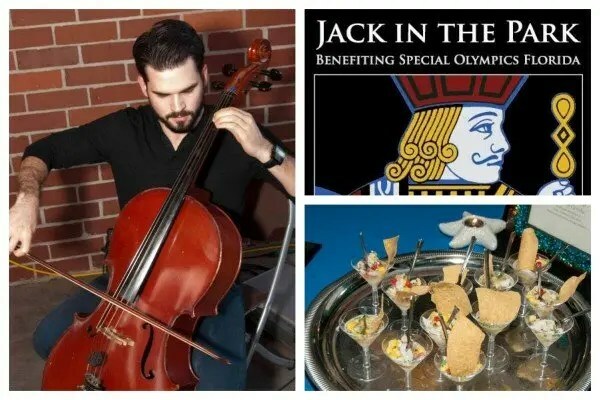 Then you must check out Jack in the Park, an “outside of the ballroom” fundraising event on Saturday October 25th 7p-11p, featuring live music, full open bar, and exceptional food from great local restaurants including Avenue Gastrobar, BB Kings Blues Club, American Q, plus one of a kind Blackjack tournament with fantastic prizes. Tickets $100 per person. Proceeds benefit Special Olympics. Located at Winter Park’s Civic Center, 1050 Morse Blvd, Winter Park. 352-727-5097. Go Get Lucky! 6. GO Wine & Dine in the Pacific Northwest! On Wednesday October 29th, Mitchell’s Fish Market takes you on a four-course dining adventure to the Pacific Northwest, one of my favorite food and wine region in the world! I was quite impressed at the last event I attended and found it to be one of the best wine dinner values in town (You can read all about it here). This evening travel along the coast with Sweet Corn and Crab Bisque, Tempura Battered Pacific Oysters, Pan Roasted Alaskan Sablefish, and end your journey with Washington Apple Tart. 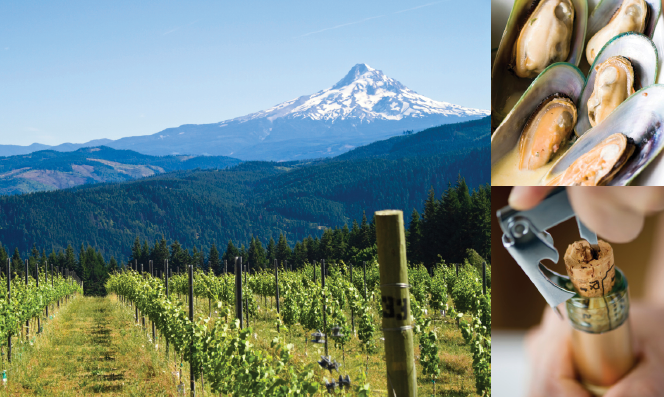 All courses paired with the fantastic wines of Oregon’s King Estate Winery. $49.99 per person plus tax and gratuity. Located at 460 N Orlando Ave, Suite 122, Winter Park. GO Wine & Dine in the Pacific Northwest! 7. GO Trick or Treating on Orange! 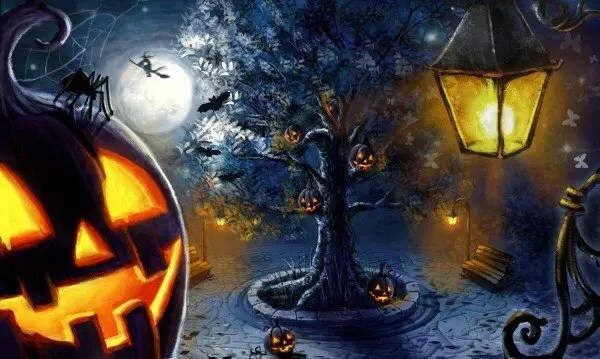 On Wednesday October 29th, The Nightmare on Orange event welcomes you to participate in grown up “trick or treating” as you go from one downtown hotspot to another sampling wine, craft beers, mixed cocktails and light appetizers from 6pm-7pm. Additional drink specials will be offered at each location and everyone is encouraged to come in costume. Starts at The Basement, 68 E Pine St, Orlando. Venues include The Attic, Ghost Bar, Kasa Orlando, Underground Public House, The Avenue, Downtown Pourhouse, NV Art Bar, Bullitt Bar, Artisan’s Table and more. GO Trick or Treating on Orange! 8. GO Celebrate with Foodies! 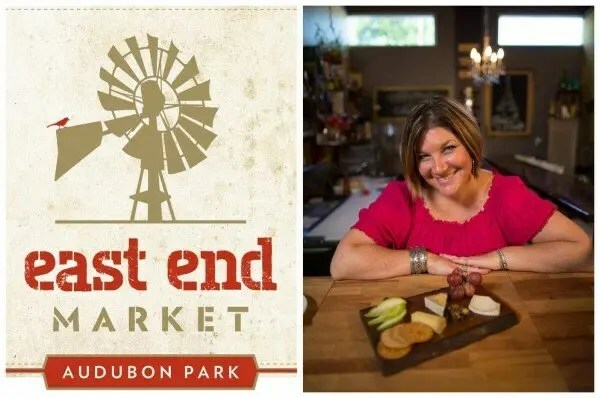 Saturday November 1st, Orlando locavore’s favorite hotspot, East End Market celebrates its 1 year anniversary and they are throwing a party to celebrate! From 12p-6pm, stop by to enjoy free samples, live music in the courtyard and merchant demos in the APEX kitchen. Free to attend. Then, at 7pm, join La Femme Du Fromage, Tonda Corrente with Max McCalman, the country’s leading cheese expert, for a special culinary adventure exploring five Spanish wines, cheeses and tapas from Txokos Basque Kitchen. If you love cheese, don’t miss this event. $75 per person. Get your tickets now because it will sell out. GO Celebrate with Foodies! 9. GO Experience a Flavor Palette! 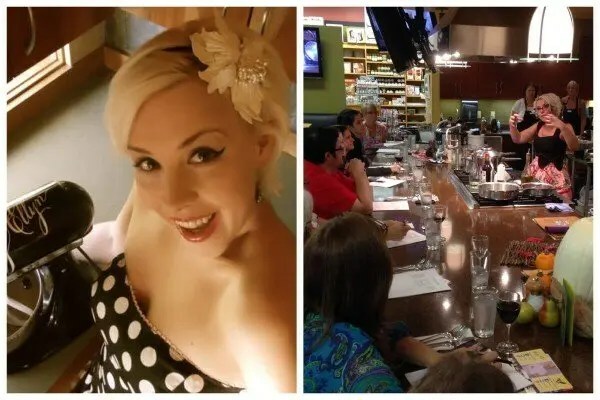 On Saturday November 8th 6pm, Food Network personality and Retro Rad Diva, Emily Ellyn hosts “Flavor Palette”, a culinary demonstration and dining experience hailed as “visual and oral stimulation of the five senses through an expression of flavors from each of the four seasons”. This is culinary performance art! Act one will feature Pickled Spring Onions served over a Summer salad, Act two goes into Fall with Roasted Savory Pumpkin Soup and Act Three is “Pie Pie Me Oh My” with a Bacon Peanut Butter Pie! Emily Ellyn is one of the most charismatic culinary personalities you will ever meet. $55 per person includes wine and beer. Don’t miss this opportunity at Rolling Pin Kitchen Emporium, 2080 Badlands Dr, Brandon, FL. For tickets click here. GO Experience a Flavor Palette! Retro Rad Diva Emily Ellyn! I hope these fun events will inspire you to GO Celebrate Life with Friends! I am often asked “Why a Top 9 List in this world of Top 10s?” It’s because you may have a favorite event I must add to the list and I want to hear all about it. Please share in the comments below.